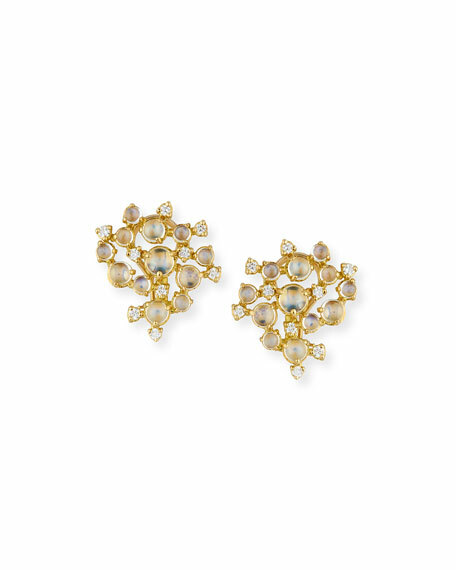 Bubble cluster earrings by Paul Morelli. Moonstone cabochons, 5.48 total carat weight. Round-cut white diamonds, 0.65 total carat weight. 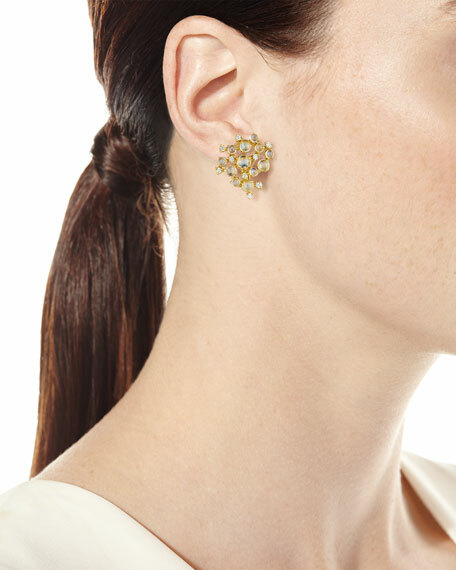 Omega post backs for pierced ears. For in-store inquiries, use sku #328152.